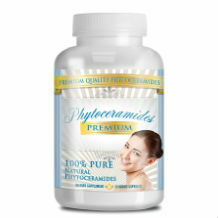 This is a review of Healthorium’s Phytoceramides. This is an anti-aging skin supplement. It restores the skin’s soft and fresh appearance from within. It helps to promote a more radiant, younger and dewy complexion and it also diminishes wrinkles and fine lines. Phytoceramides – Consists of strong antioxidants that fight free radicals. Vitamin A – Helps to reduce the appearance of wrinkles and to heal damaged skin. Vitamin C – Repairs and prevents dry skin. Vitamin D – Contributes to metabolism, skin cell growth and skin repair. Vitamin E – Blocks free radicals from the body, which plays a big role in the aging process. Other inactive ingredients that are included in this formula are vegetable cellulose, magnesium stearate, silicon dioxide and MCC. Although this formula contains powerful ingredients when it comes to anti-aging and healthy skin, we found that there is one key ingredient missing, namely wheat extract oil. It has been proven to be very effective when it comes to fighting wrinkles and reversing the signs of aging. It also improves the skin’s hydration levels and smoothes the skin. One capsule should be taken daily. It is not clear at what time of day the capsule should be taken or whether it should be taken with or without meals. This might be confusing to clients. No possible side effects are mentioned, but this might be because of the lack of information available on the product. We find it quite concerning that these types of very important information are nowhere to be found. It seems like the product is currently out of stock or unavailable and therefore it does not have a price. We also couldn’t find any kind of satisfaction guarantee offered by the manufacturer. This might mean that there are some concerns with regards to the effectiveness of the product. 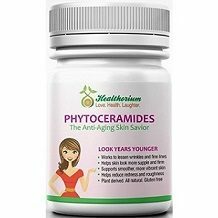 After we have reviewed Healthorium’s Phytoceramides, we found that it might be an effective product when it comes to anti-aging and restoring the skin’s soft and fresh appearance from within. It can also help to promote a more radiant, dewy and younger complexion that diminishes fine lines and wrinkles. Although there are many powerful ingredients included in this formula, we noticed that one key ingredient is missing, namely wheat extract oil. It has been proven to be effective when it comes to reversing the signs of aging. We are quite concerned that there is really not much information available on the product. The dosage instructions are not clear, they do not mention what the possible side effects could be when using the product or even what the price is, as the product is currently unavailable.There is also no mention of any kind of satisfaction guarantee, which again makes us wonder what the effectiveness of the product truly is.